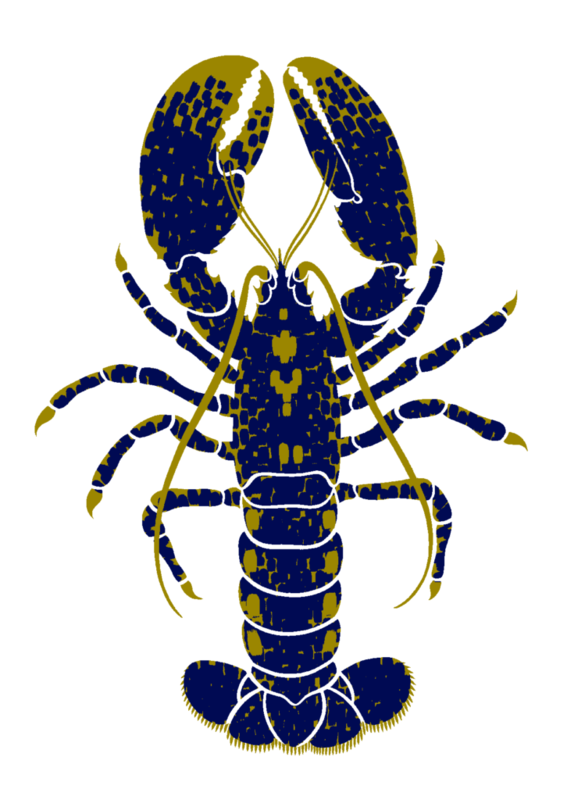 You’ll be able to buy this jolly looking lobster in ochre and navy blue when it goes on sale as part of my greetings card collection on British Sealife. Update: my greetings card collection featuring my lobster illustration is now for sale in my etsy shop. This lobster’s called Larry by the way. He lives under a rock in Dorset and likes eating shellfish.